‘We must create a world in which no bullet is aimed at an unknown hostile stranger and this will require hard work from us’, Betty Williams. Betty Williams and Mairead Maguire received the Nobel Peace Prize in 1977 (awarded for 1976) for their efforts to peacefully resolve the violent conflict in Northern Ireland. She was 34 at the time, working as a receptionist in Belfast, born to a mixed Catholic-Protestant-Jewish family, raised as a Catholic. ‘The Protestants killed one of my cousins, the Catholics the other’, said Williams when revealing her family story. She became an activist and organizer of the movement for peace after having witnessed a car accident in Belfast in which three children were killed. They were massacred by a driver, member of the Provisional IRA, critically wounded by a British patrol. The three kids were Mairead Maguire’s nephews. Their mother, her sister, suffered bad injuries. Williams, a passer-by who witnessed the tragedy, stopped to help the victims. At that point she decided that the blame for the tragic accident should partly be taken by the IRA fighters, as they had first shot at the British patrol. In the next few days she collected over 6,000 signatures in support of the petition for peace in Northern Ireland; furthermore, she succeeded in inciting the interest of the media in the campaign. Mairead Maguire, at that time still Mairead Corrigan, having heard about her efforts, asked Betty to attend her nephews’ funeral. Soon they managed to organize 10, 000 women, Catholic as well as Protestant, who marched across Belfast demanding peace. Provisional IRA fighters accused both Maguire and Williams of being manipulated by the British. ‘Mairead and I collected hundreds of signatures from people who wanted to end violence’, wrote Williams many years later. ‘But we had not expected that 10,000 people would show up. I could see snipers on the roof of the petrol station on the corner and I thought to myself . The next march organized by Williams and Maguire brought together 35,000 people.  The movement launched by the future Nobel Peace Laureates was initially called Women for Peace, later A Community of Peace People, then simply Peace People. At the time when Maguire and Williams were involved in setting up the movement, Belfast was the stage of violent confrontations. So-called Unionists, Protestant in their majority, wishing to continue the union of Northern Ireland with the United Kingdom, were fighting against the Republicans who wanted the integration of Northern Ireland with the Republic of Ireland. The Republicans, also called the nationalists, were predominantly Catholic. The year 1975 was regarded as the most violent in the history of the conflict. And while the paramilitary organizations were calling to resort to force in order to solve the conflict, Williams head the courage to seek non-violent measures to end this crawling civil war. When receiving the Nobel Prize, Williams said: ‘Every single death in the last eight years, and every death in every war that was ever fought represents life needlessly wasted, a mother’s labour spurned’. Born in Belfast in 1943, Betty William was 13 when her mother suffered a severe stroke. She thus had to leave school to take care of her ill mother and younger sister and completed her formal education at St. Dominic’s Grammar School. In 1972 she was briefly in IRA. When a year later she witnessed shooting of a British soldier, Betty knelt by the wounded and began praying, which naturally aroused resentment among her Catholic neighbours for showing sympathy to the ‘enemy’. When she received the Nobel Peace Prize, she was not a political activist; instead, she was working as a receptionist, raising two children. ‘The Nobel Peace Prize is not awarded for what one has done, but for what one hopes to do in the future’, was her comment on the honour. In 1980, she left the Peace People, shortly afterwards leaving for the USA. Almost 20 years later Williams returned to Northern Ireland. Having divorced her first husband, she married James Perkins in 1982. They went to live in Vedra Beach, Florida. When in the USA, she gave lectures and was appointed to the Texas Commission for Children and Youth by then Texas Governor Ann Richards. Additionally, she was professor at Sam Houston State University in Huntsville, Texas. In 2006, together with Mairead Maguire and other female Nobel Laureates: Shirin Ebadi, Wangari Maathai, Jody Williams, and Rigoberta Menchu Tum, she founded the Nobel Women’s Initiative, with each woman in the group representing a different world region: North and South America, Africa, Europe, and the Middle East respectively. The organization aims at working for women’s rights worldwide. Williams has been awarded numerous other prizes, e.g. the Schweitzer Medallion for Courage, the Martin Luther King, Jr. Award, the Eleanor Roosevelt Award for human rights activity. She currently heads the World Centres of Compassion for Children, organization of relief to children in the war- or conflict-stricken regions, suffering hunger and poverty.